Celebrate In Style With Our Wedding Confetti Effects! 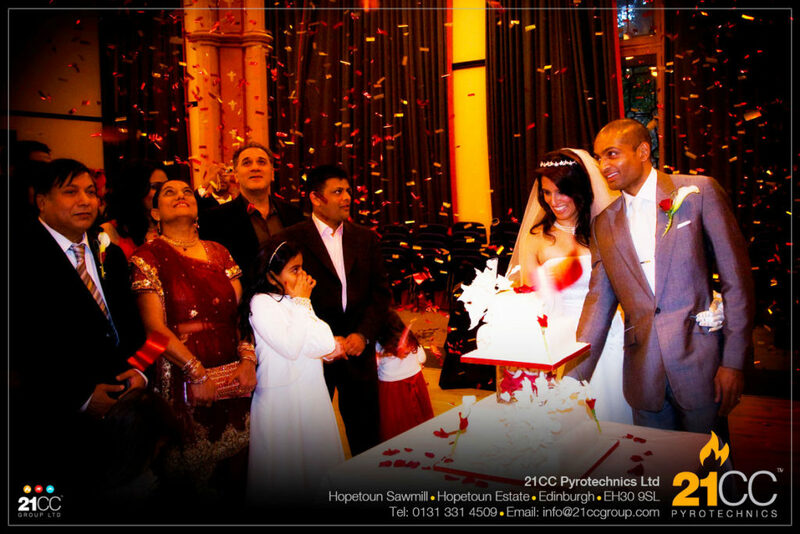 Why not book in this amazing effect for your wedding day to celebrate a special part of the day? 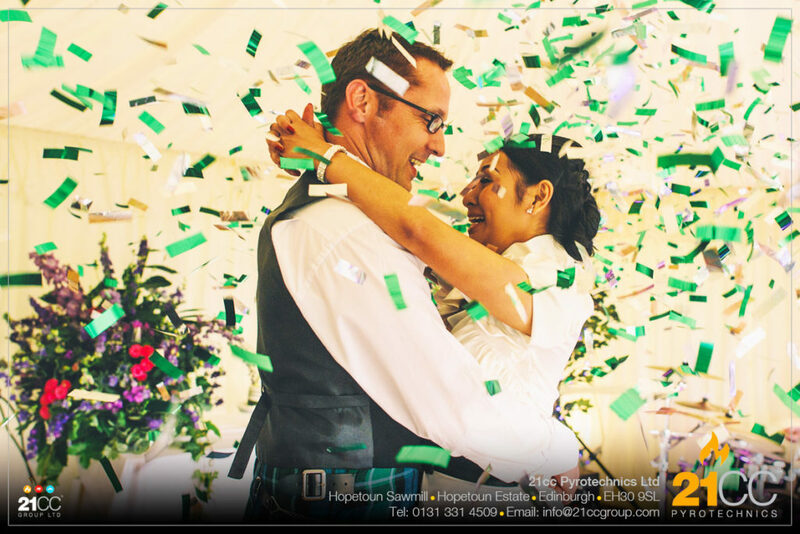 Entertain your guests and get a spectacular wedding confetti photograph for your wedding day album. Watch our wedding confetti effects in action! 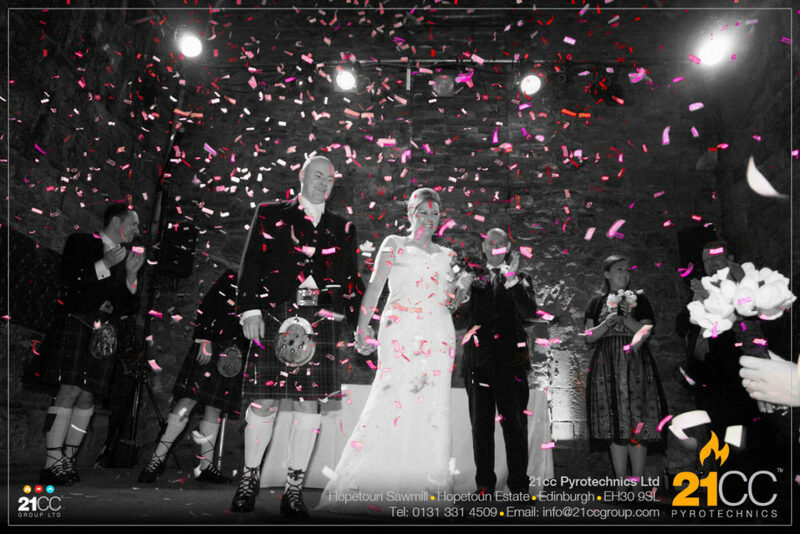 If you can’t decide how best to use our wedding confetti effects, you can see our confetti cannons in action. Just click on our video channel below. We can coordinate the colour of your confetti effects with the colour of your flowers, bridesmaid dresses or colour theme for your wedding day. See the group shot photo below where we used a lemon and purple confetti to match the flower arrangements. Our wedding team travel all over the country delivering our wedding products and services. No location is too far for us! 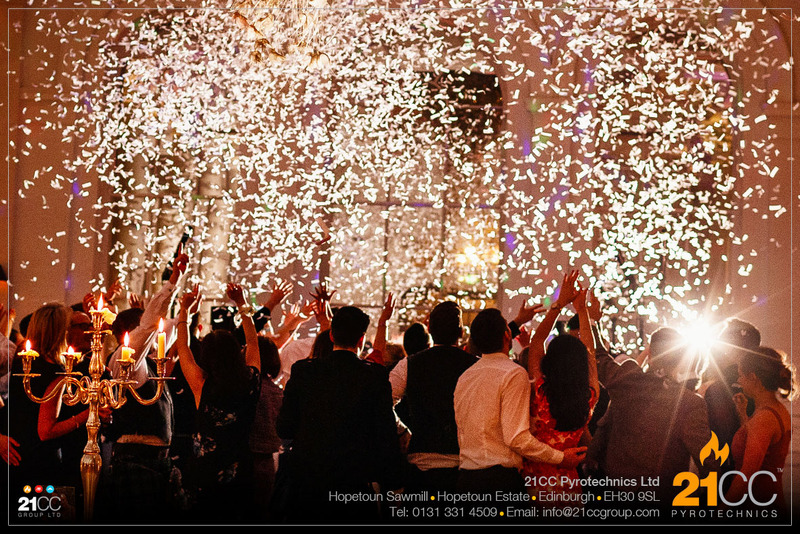 We realise the importance of making your wedding day perfect, so if you are looking for our confetti effects for your wedding, just ask! They are just perfect for celebrating your first dance together! Wedding confetti cannons – the real deal! There are lots of different confetti cannon effects. Our units will throw your confetti up to 16m into the air. The confetti will then slowly float down around you as you dance, kiss or cut the cake! They are electronically controlled, so they will be fired bang on cue for you and your photographer! 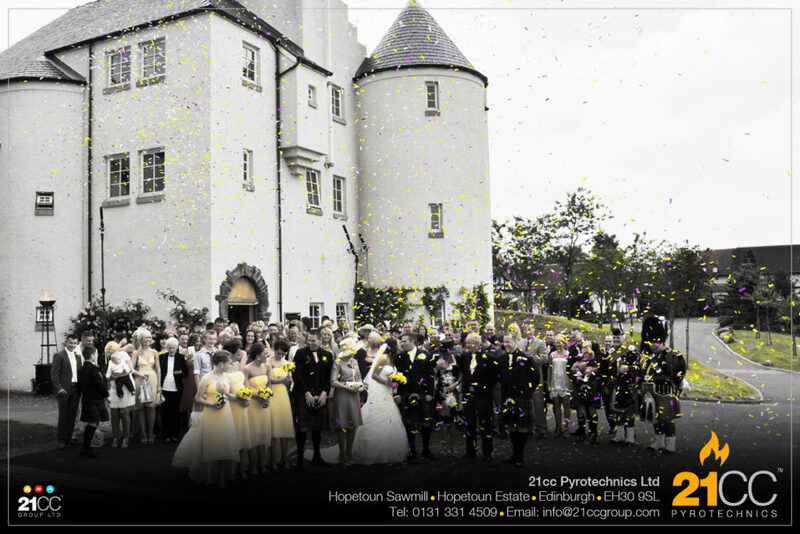 You can also read more about our weddings confetti effects on our confetti pages here on our website. 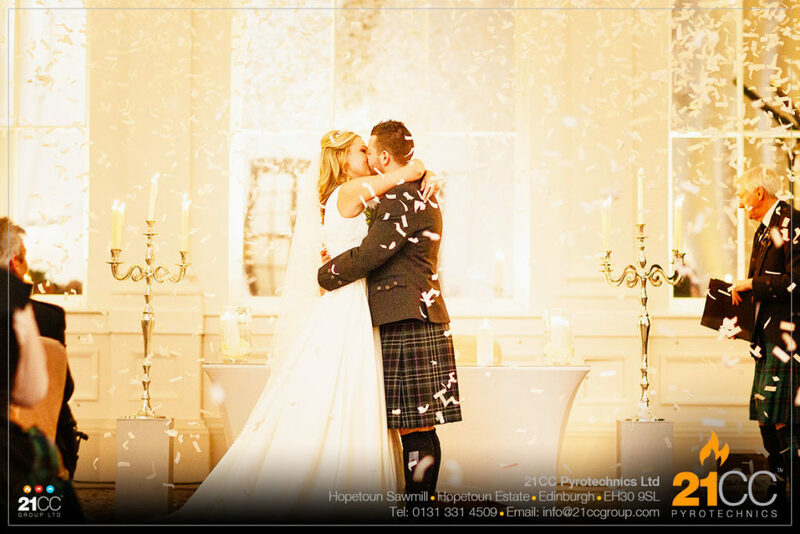 Contact our wedding team by emailing weddings@21ccgroup.com or call us on 0131 331 4509.